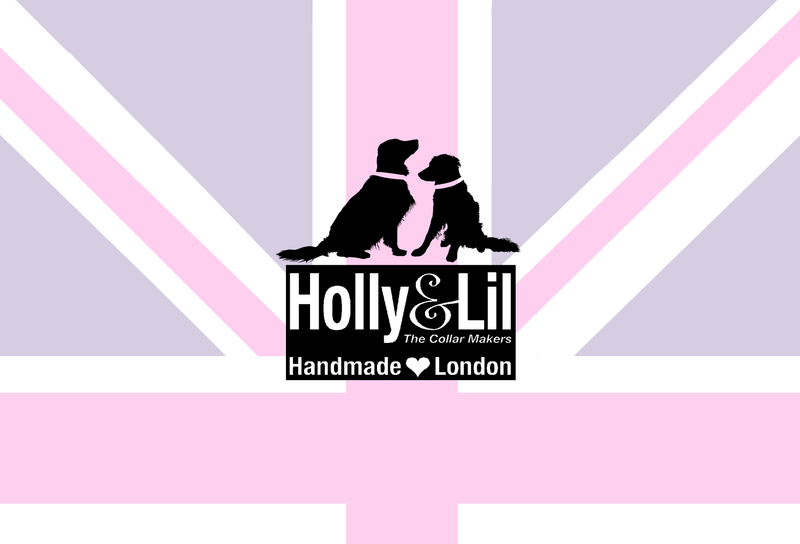 Regimental/Old School Stripes Bespoke Collars - Holly & Lil Collars Handmade in Britain, Leather dog collars, leads & Dog harnesses. 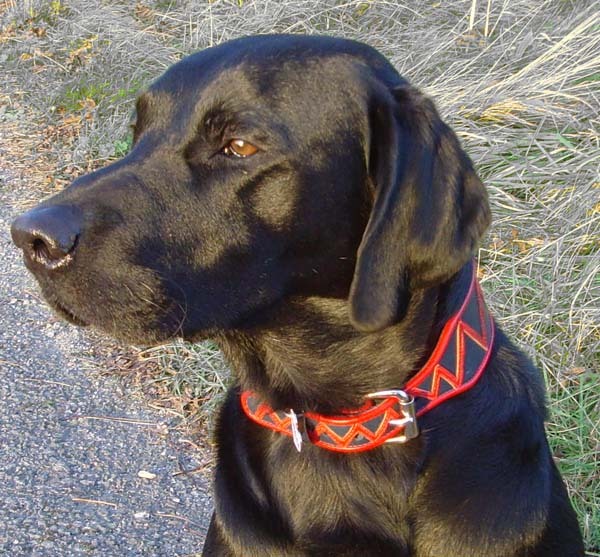 We have designed and created several Regimental Stripes collars to special commission and now you can order them online too. The collar shown here is in the Royal Fusiliers' colours and is featured in the September issue of Vogue. The same template can be used to create Old School colours. 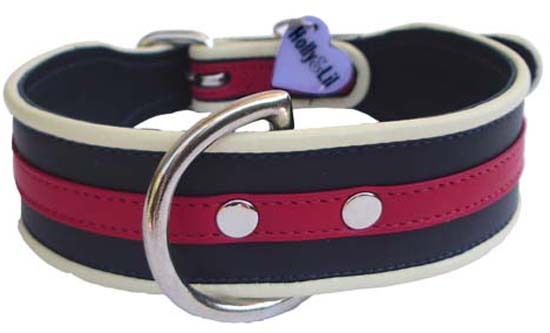 Each collar is hand made to order .....using our stock leather colours which are shown below. 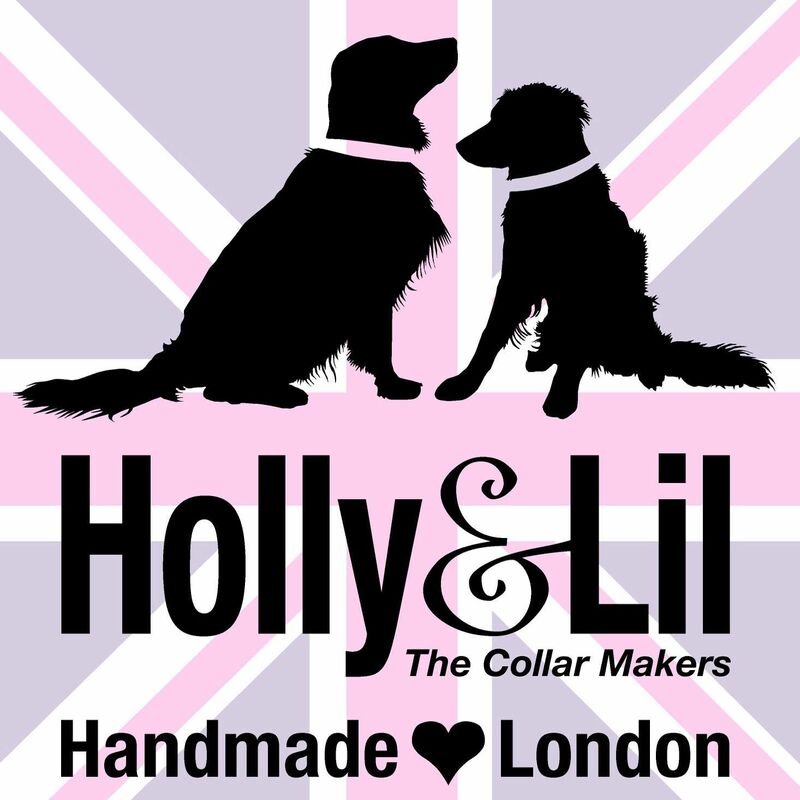 Simply let us know the colours needed and we will research and design your collar and then make it for you! 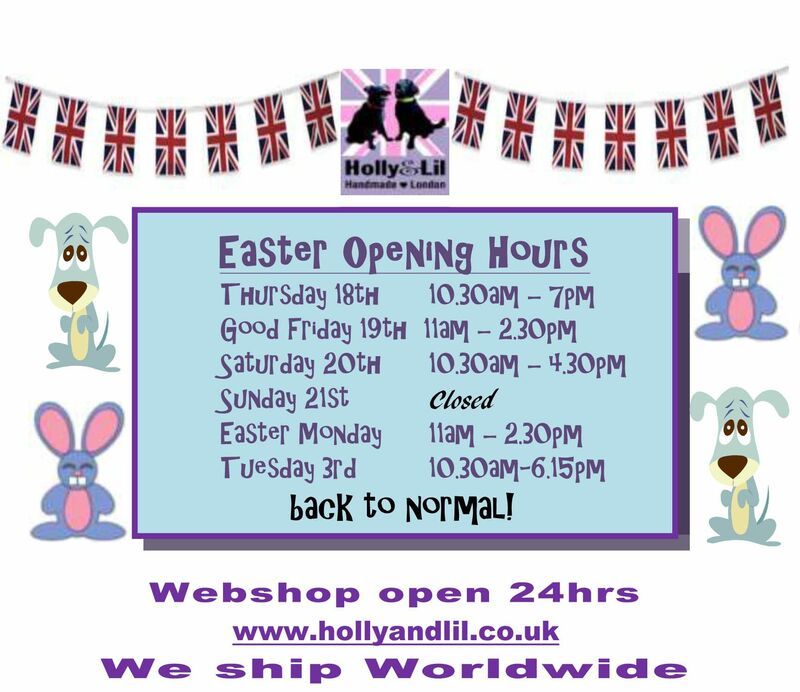 If the colours needed are not available from our current leather stock, but you wish to proceed, go to Make Me One and let us know and we will advise on timing and price. 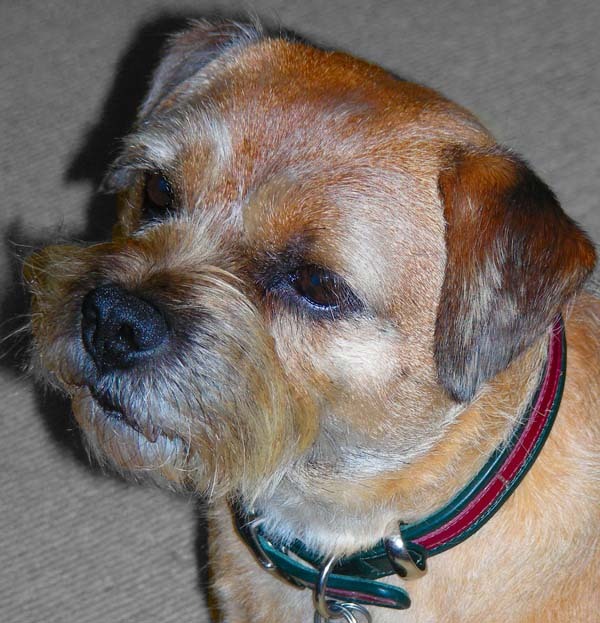 Slims are only available in 3/4" or 1" widths ( sadly that may exclude us making this design in Sizes 1/2, 1 or 2 unless your dog's neck can take the width of a miniwide = 1/2" half buckle not suitable for pulling terriers a 5/8" full buckle but that means the stripe cannot extend right to the buckle. Wides (Size 3 and up ) are 3/4" under the chin widening to 1.5" at the back of the neck.